How to tell customers they got the best price? It seems like everyone wants a deal or coupon these days. I admit when I search online for products the first thing I do is find the same product and then compare prices… don’t we all do that. Then once I found the best price I will then search for a discount coupon before I checkout. Or even if I goto Home Depot, Sears, or Best Buy I am programmed to grab a coupon before I visit the store. The store Bed Bath and Beyond is 100% coupon driven and I get text and emails daily for 10% off. I believe it’s the digital world and environment we live in today. Most service company’s like Roofers, Electricians, Landscapers, Plumbers etc don’t necessarily operate that way. Some do offer coupons through the direct mailer program like House Cleaners, Asphalt sealers, and oil change chain stores. However, Landscaping and Lawn Maintenance prices are competitive to begin and typically only get one shot to put my best foot forward when it comes to bidding. So how do I handle the process? 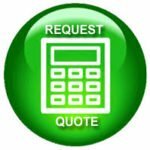 Every so often I will get a request from a customer for a better deal after they view my quote. So I will I explain that to the customer our pricing strategy, which is that we don’t inflate our prices to offer coupons on the Internet or direct mail. 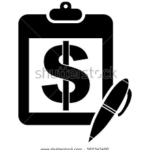 The main reason is in the Landscaping and Lawn Care business customers get several bids on jobs and if I come in too high I wouldn’t get the business. In addition I also explain that every quote we send out is itemized, all inclusive, includes our overhead of insurance and licensing. Our prices are competitive and priced right from the beginning. After a solid explanation almost every customers can relate to this philosophy and will sign up. Moving into the future of price bidding. I fully understand consumers are being programmed to always get a “deal” during the purchase process. So, at some point I am going to have to get into the game. On my Google my Business page Google expects me to post deals and events on an ongoing basis. The question will be how to manage the process and when to start. Definitely a must do for the future of bidding out jobs for years to come. Posted in General, Home Improvement, Landscaping, Lawn Maintenance.